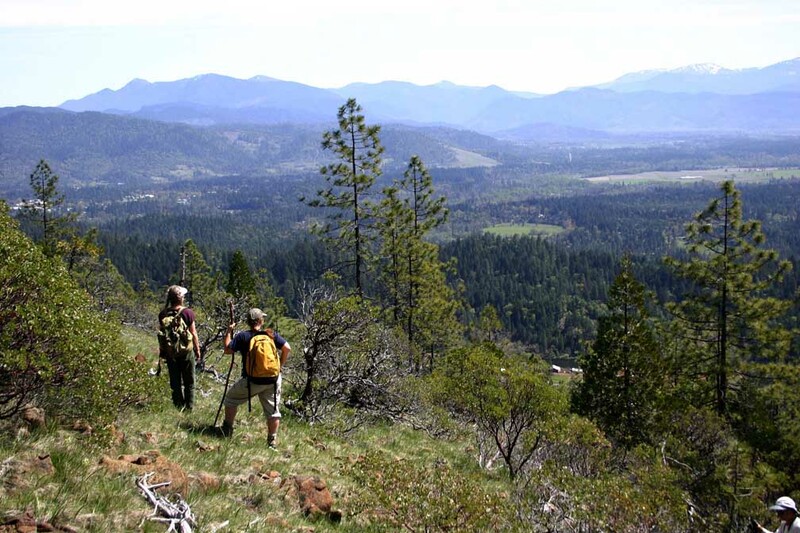 Hiking the Rogue Trail is another great way to experience the Rogue River Canyon. 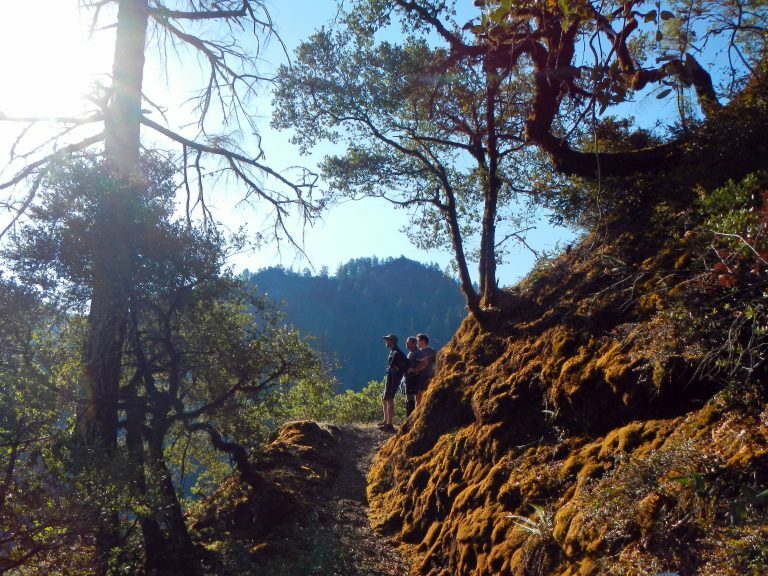 The journey from lodge to lodge is a wonderful mix of meeting new people and feeling the solitude of your walk as hikers spread out on the trail to their own pace. You start listening and watching in a new way. Each turn may reveal a spectacular rapid or waterfall to the riverside of the trail; or, a turn up a creek drainage shaded by the drape of the canopy overhead revealing an entirely different system of plant life. The quiet stretches are punctuated by a rest stop where the guide will point out some feature that is part of the canyon’s story: the place of a distinctive geological event; a piece of history recalling when members of the Tutani or Takelma tribes made the river valley their home. This is how you see the fingerprints of this canyon. Stopping to see and enjoy another variety of flower; or, really stopping, getting out the book and putting your heads together along with other hikers to identify a bloom you’ve never seen before. Walk among the carnivores—the carnivorous California pitcher plant (Darlingtonia californica), that is. 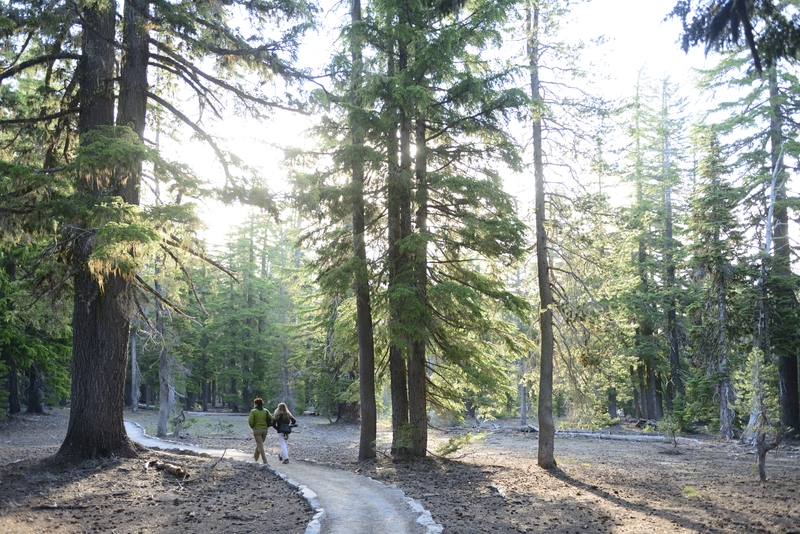 The 1/8 mile Eight Dollar Mountain Interpretive Boardwalk provides an easy walk through towering pines to view one of southern Oregon’s most unique botanical features, Darlingtonia fens (wetlands). Educational panels along the boardwalk provide information about the California pitcher plant, its wet serpentine habitat, and the drier surrounding slopes. A moderate hike along the 1-mile Jeffrey Pine Loop Trail passes through serpentine habitats, follows an historic mining ditch, and offers views of the Illinois River. Visit the trails in late April through early June for wildflower viewing. 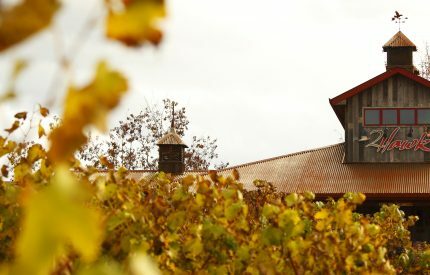 DIRECTIONS: Located 26 miles southwest of Grants Pass on Highway 199. About 3.5 miles south of Selma, turn west on Eight Dollar Mountain Road (FS 4201). Drive 0.8 mile to a large parking lot on the left along the road. The Jeffrey Pine Loop Trail begins at the parking lot. The trailhead for the Eight Dollar Mountain Botanical Wayside Boardwalk Trail is on the right up the steep, paved drive. The Pacific Crest National Scenic Trail (PCT) is a treasured pathway through some of the most outstanding scenic terrain in the United States. Beginning in southern California at the Mexican border, the PCT travels a total distance of 2,650 miles through California, Oregon, and Washington until reaching the Canadian border. The PCT is one of the original National Scenic Trails established by Congress in the 1968 National Trails System Act. It is administered by the US Forest Service. The Forest Service partners with the Bureau of Land Management, National Park Service, California State Parks, and the Pacific Crest Trail Association to provide effective management and protection of the trail. 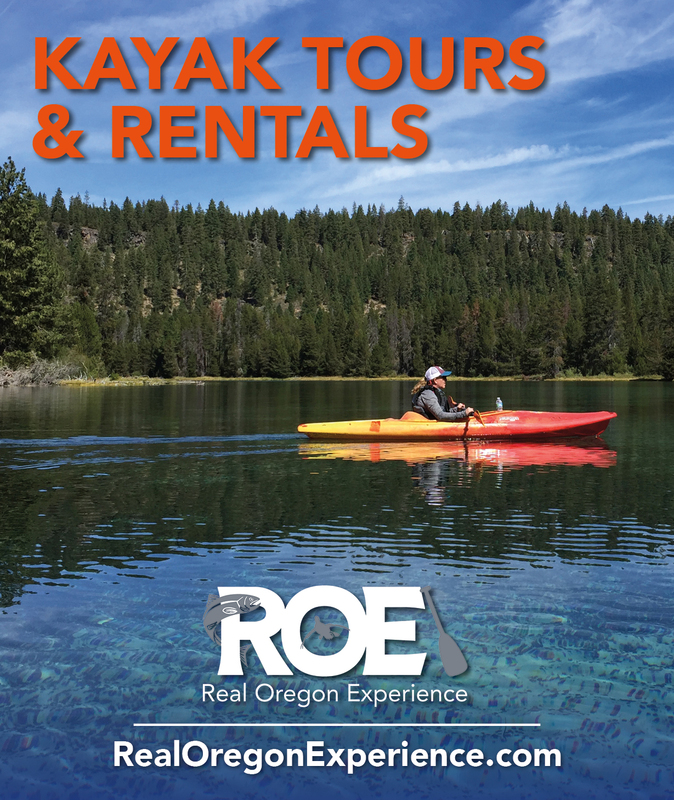 Medford and the Rogue Valley are the stage of Southern Oregon and the western gateway to Crater Lake National Park. 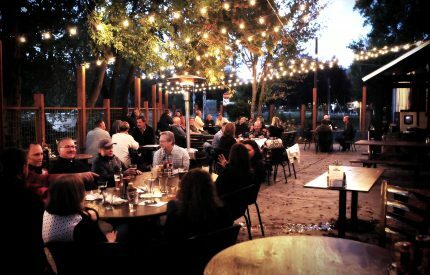 The best river town in Oregon boasts theaters, art in the streets, happening restaurants, a now-famous wine scene all in a quaint downtown national historic district.